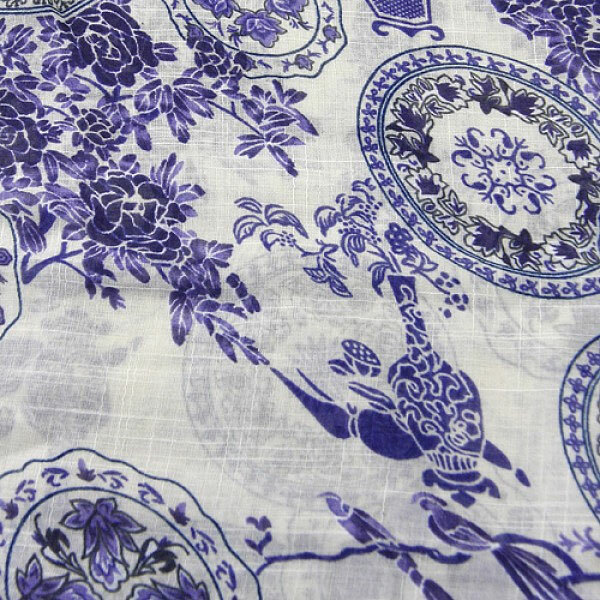 Chinese inspired floral and motif design on a cross-hatch voile quality polyester scarf. 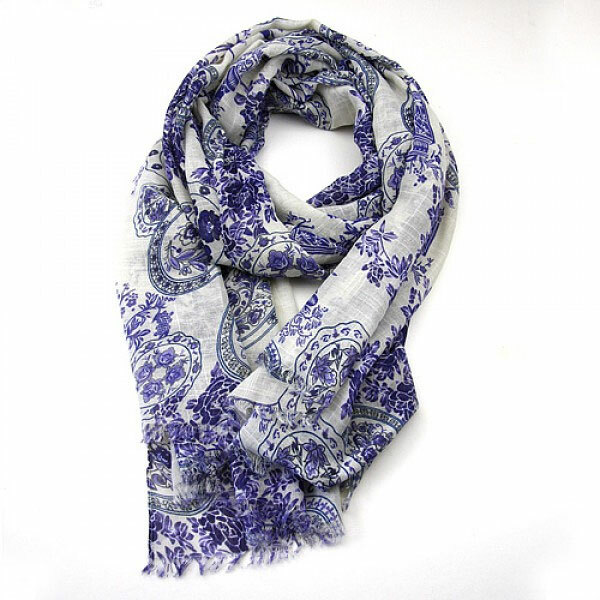 The scarf is in shades of blue and black on a pale cream background. The size of the scarf is approx. 90cms in width x 180cms in length.